Mr. Pitt. – This Square Peg. May 22, 2014 Categories Bold Names, MemoryBrad Pitt, fan, film, Legends of the Fall, memories, throwback Thursday1 Comment on Mr. Pitt. I’ll refrain from typing too many adjectives about him or going too far with this. Just know that I fell in love with him when I was 15. It was during this scene in Legends of the Fall, a movie we had no right to be seeing. Nevertheless, courtesy of the fact that my old friend’s mom had no problem buying movie tickets for five underage girls, there I was, looking into those gleaming celluloid eyes and that golden hair and falling into knee-deep, eternal, I-will-name-my-firstborn-son-Tristan love with Brad Pitt. It was acute. So acute that I stood up from my seat and began to applaud him. (True story.) The efforts of my laughing friends to sit me down and halt my clapping were futile. I was done: officially a forever fan and poised to become Mrs. Pitt if a need for that ever presented itself. 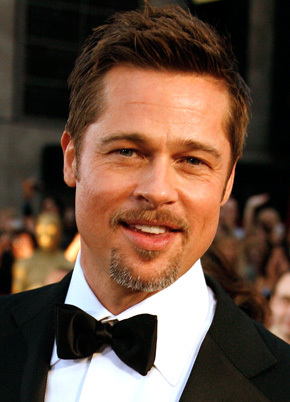 These days, I have no adolescent Mrs. Pitt delusions, but of the few actors I admire, he’s one of them. (Seriously, The Curious Case of Benjamin Button is a film I can talk about for days, if only for the cinematography and how the movie stayed with me long after it was over.) And so I leave you with a Pitt-related sigh. Happy Throwback Thursday. Previous Post This Curvy Square Peg? Pingback: because it’s Wednesday. – This Square Peg.